Need to get to South Africa from Israel and wish to travel in style? Then this fare is just for you! Flights from Tel Aviv operate with a mix of Boeing 777s and Airbus 320s. Flights from Istanbul to South Africa are on the Airbus 330s. 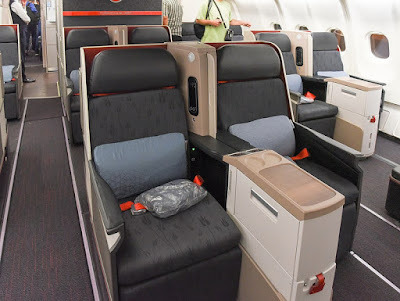 Here are some pictures of planes that Turkish Airlines operates on this route. 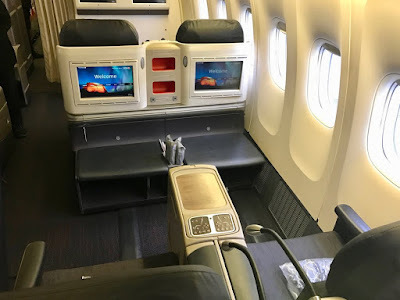 While Turkish is known for their out of this world lounge in Istanbul and excellent food in-flight, there business class does not offer direct aisle access and in the case of the Boeing 777 even has a 7 across seat map (similar to Emirates). But the mileage earning on this fare makes it very interesting as it can be combined with a multi month stopover in Istanbul to increase flexibility.